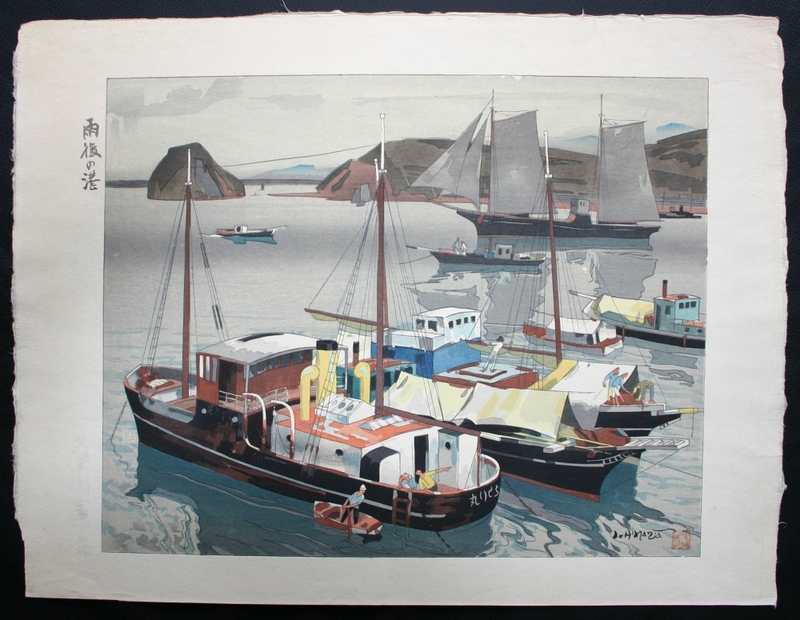 Description: This Ishikawa print is also sometimes called Harbor After Rain. This is a large print with an image size of 14 3/4 x 12" and sheet size of 19" x 14 1/2". Toraji is probably best known for his series 'Rajo jusshu (Ten female nudes)' but I prefer his land and seascape woodblock prints.